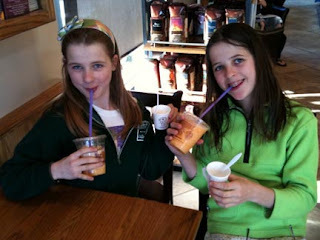 MOMMY BLOG EXPERT: FREE Full-Size Coffee Bean Latte Specialty Drinks - This Afternoon, 4-7 p.m.
FREE Full-Size Coffee Bean Latte Specialty Drinks - This Afternoon, 4-7 p.m.
As some of you may already know, my daughter (Mini MommyBlogExpert, age 13) and I have a Friday morning ritual. Every week we ride our bicycles to our neighborhood Coffee Bean & Tea Leaf store to buy Challah (braided bread for the Jewish Sabbath). Both of us have a few favorite hot and cold drinks that we can get there year-round, but we also love it when new seasonal flavor coffee and tea drink are introduced. This afternoon you'll find me and all my kids taking advantage of Coffee Bean's full-size 12 ounce drink giveaway to introduce their newest flavors. 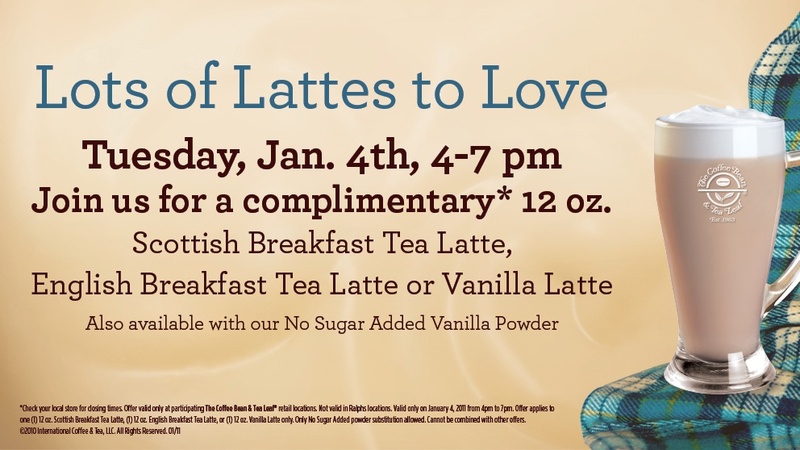 In fact, you're invited stop by your local CB&TL, too, as they're giving away your choice of Scottish Breakfast Tea Latte, English Breakfast Tea Latte, or Vanilla Latte specialty drinks. But, hurry. 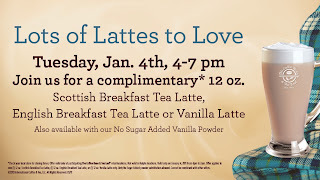 This offer is available today only, Tuesday, January 4, 2011 from 4 to 7 p.m.
To find the nearest store and for more information about this event, visit Coffee Bean's website. Please leave a comment below this post: I think these drinks all sound delicious. Which flavor do you like the best? FTC Disclosure: MommyBlogExpert did not receive any payment or other compensation associated with this post. However, I fully disclose that I am a long-time loyal customer of The Coffee Bean & Tea Leaf and will be bringing my family to this giveaway event. See complete FTC Disclosure information that appears at the bottom of MommyBlogExpert's main page and at the bottom of every individual post on this blog, including this one.